Many people in the business community would know me as “the soap lady” or the “goat lady”. Our youngest son had suffered with eczema from birth and in an effort to ease his discomfort I learned how to make goat’s milk soap as a gentle protective skin care alternative. In 2004, Billie Goat Soap began. It was a humble affair initially and started in my kitchen. By 2010 we had grown to employ over 20 people and sold the products in over 2000 outlets around the country. 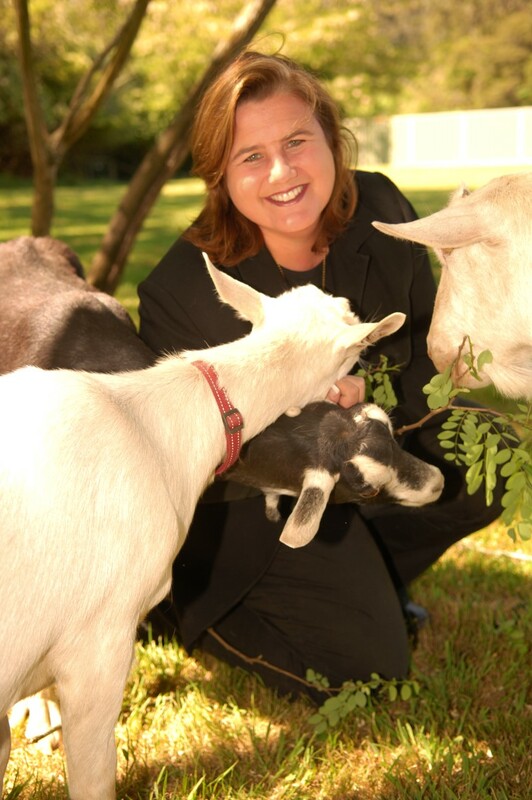 Billie Goat Soap was the NSW Business Chamber Business of the Year in 2010 and the Myer Supplier of the Year (general cosmetics) at around the same time. My corporate background and academic training was coming to the fore – I knew how to develop a strategic sales plan and most importantly, I knew how to execute it. In addition, I honed my marketing and PR knowledge to deliver results with minimal dollars to spend. I have two degrees in people management and particularly enjoy the relationships that are fostered in small business environments. By 2011 retailing in Australia had slowed significantly and this meant our sales slowed for the first time ever also. This took a huge toll on my mental health. Eventually I recovered and returned to work. Billie Goat Soap was sold in 2012 and is still enjoying strong sales and brand growth today. For more information about my small business achievements and expertise, please check out my LinkedIn profile here. Developing strategic growth plans that deliver profitable results for my clients. Mentoring small business owners who want to grow their business. Providing my “Walk ‘n Work” service to business owners on the Central Coast to encourage wellbeing, creative thinking and business development. Lecturing at the University of Newcastle on small business growth and sustainability with a focus on businesses more than two years old. Appearing as a keynote speaker at many business conferences, expos, luncheons and corporate events about small business in Australia. Representing COSBOA as their Mental Health Ambassador. This means I am a wellbeing advocate for small business at the Mentally Healthy Workplace Alliance and speak at member events when asked. Advising and consulting with corporate clients, government agencies and research organisations who want to better understand how to support the small business community. Contributing to media conversations about small business growth and the wellbeing of small business owners. I hugely admire Leanne’s work, it’s so valuable for small business.